When navigating between screens in PowerApps you use the Navigate function. There is also a Back function which takes you to the previous screen. The caveat with Back is that it doesn’t build a navigation history, but remember the previous screen only. This means that if you go from screen 5 to 4 using Back, then the next Back call will take you to 5 again, not screen 3. Do I really need to think about this? In January of 2018 I wrote a post showing how you could use the modern script editor web part to add a jump anchor to a modern page. Of course, you should shy this web part due to possible security risks (unless you really really know what you are doing). Last night Theresa Eller was looking for a proper solution to this on twitter, so I whipped up a small web part which adds an invisible span tag to the page, which you can anchor to. If you set scrolltome as the id, you can reference it when creating a hyper link in the text web part. 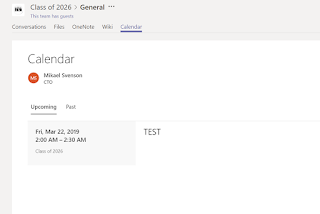 This time around I made the code compatible with both SharePoint 2016 and 2019 as well. Go download the sppkg file from https://github.com/Puzzlepart/spfx-solutions/tree/master/Pzl.Part.HookMeUp and install it where needed. I’m working on a solution which has a small UI created using the SharePoint Framework. This UI will make an authenticated call to a back-end service, which again has to read some data from a SharePoint list for validation. The easy approach would be to read the validation data in the UI, but this would lead to a potential security hole, disclosing the verification mechanism. I could also have read the SharePoint data using app-only permissions in the back-end service, but this adds one more moving piece. Thus, I ended up with fetching a valid Bearer token for the logged in user, and passing that along to the back-end service, which in turn can use it for SharePoint authorization. The code itself is fairly simple from within the SPFx web part. Took me a few tries, but pass in the root URL for your tenant and you get a token you can use for future calls against any SharePoint resource (as long as it’s valid). I have worked in the space of content production and collaboration for quite a few years now. Along this journey new tools and technologies have arrived to help us better manage the content being produced. At the same time content production increases, and it’s no easy feat for neither technology nor people to keep up with the constant battle of managing content the right way, and making sure the right content is readily available and findable. To simplify matters we can divide the problem into two. 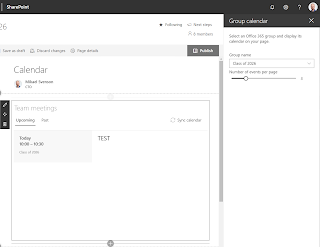 I have previously written about why and how you can take control of Teams and Office 365 Group creation in Office 365, and approaches automating the lifecycle management of Teams and Groups. There is no one solution which just solves everything and each business has to form their own opinion on how they want to use technology to improve the quality of content stored in their organization. The only known is that the longer you wait before deciding on a path, the harder it is to fit the solution on top of existing content afterwards. Once you have decided what your governance plan should be, you need to figure out what parts can be automated, and what parts require human actions – and how can you ensure humans take the correct action. If being asked if you should keep or delete a Team/Group if it seems inactive, the default human response is probably to keep it, as then you won’t get blamed for deleting anything important. A better process might be to make sure employees take ownership and are made accountable of their content – to filter out the good from the bad – and perhaps move the good content to another permanent storage. Office 365 Groups and Teams introduce many workloads such as document management, tasks management, and chat logs. Built into the Office 365 platform your organization has many tools and functions available to help control how information is governed and to help you control the lifecycle of the information stored within the groups and teams. The goal of my presentation is to show what tools are available in the Office 365 suite to help with lifecycle management and to show how you can use them to ensure a healthy environment with reduced information bloat while still maintaining information control and integrity. Some of the functions are available in different administration UI’s, but for the IT Pro’s loving PowerShell out there, most of it today is available via PowerShell and the Microsoft Graph. Using admin UI’s and PowerShell I will dig into some of those capabilities and show how you can get hold of the information you need in order to implement your business rules and requirements for lifecycle management of Office 365 Groups and Teams. Save $50 and register via https://pzl.no/SPC19 today! 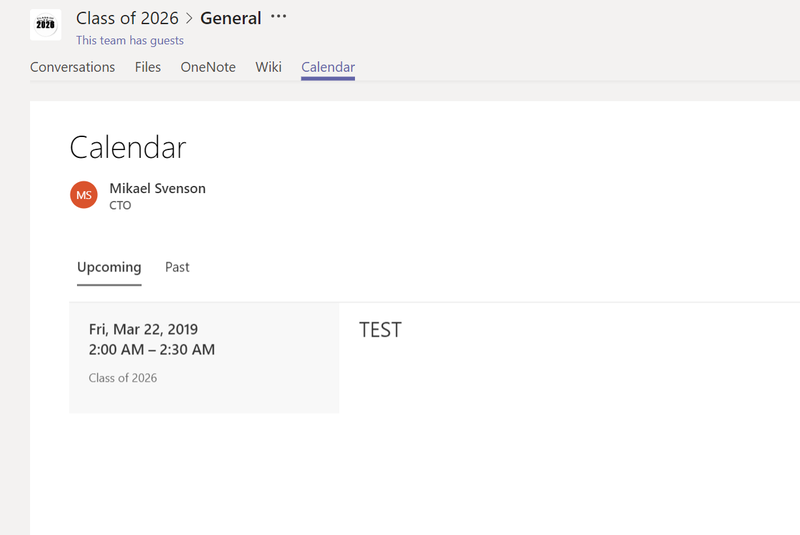 PowerApps has for a long time supported filtering SharePoint data based on a person – the typically scenario in a PowerApps being that you want to fetch data rows based on the logged in user in PowerApps. Issues is a SharePoint list and AssignedTo is people field, containing the person an issue is assigned to. The issue with this sample is that User.Email() actually returns thee user principle name (UPN), and not the e-mail address, and the value is also always in lower case. For most users this does not represent a problem, but for some it might. If your e-mail address is Foo.Bar@contoso.com, the UPN could be foo.bar@contoso.com, thus the filtering would fail as it’s case sensitive. The solution is to filter on the Claims property for a person field in SharePoint instead of Email. What I typically do is that in the application OnStart event I set a global variable where I prefix the UPN with the default claims prefix. This post was inspired by https://beaucameron.net/2019/01/17/experiment-find-out-where-spfx-web-parts-are-being-used-in-modern-sharepoint-sites/, but I’ve simplified things a bit as some of the steps are not needed. I also opted to use PnP PowerShell. There is no defined API to find usages of specific SharePoint Framework web parts on modern pages. But fortunately for us the id of each web part is included in the searchable content for modern pages (no need to map up a particular refinable string for this as per the inspired post). Note: Only pages you have access to will be listed – if you need all pages you can elevate search permissions using app-only permissions, which is (dangerous) different story. I’m not sure this is intentional or not, but something you really need to pay attention to if you develop search based solutions in SharePoint Online (afaik it does not impact search for on-premises). Up until recently(?) all managed property names were case insensitive. The change now is that automatically created managed properties based on site columns (https://docs.microsoft.com/en-us/sharepoint/technical-reference/automatically-created-managed-properties-in-sharepoint) – those ending in OWS<something>, are now case sensitive. The others work as before. If you for example create a site column of type number named MyFoo, the automatically created managed property for this column will be MyFooOWSNMBR. Previously you could retrieve the value of this property, or query it by entering any casing of the name. This meant that MyFooOWSNMBR:10 and myfooowsnmbr:10 were equal queries. But not any more. If you use any casing but the one listed in the search schema it will be treated as an unknown managed property yielding no results or values on retrieval. Which means if you are like me and typically type all managed property names in lowercase you have work to do to fix it all up. This information was found at https://github.com/MicrosoftDocs/OfficeDocs-SharePoint/issues/296. 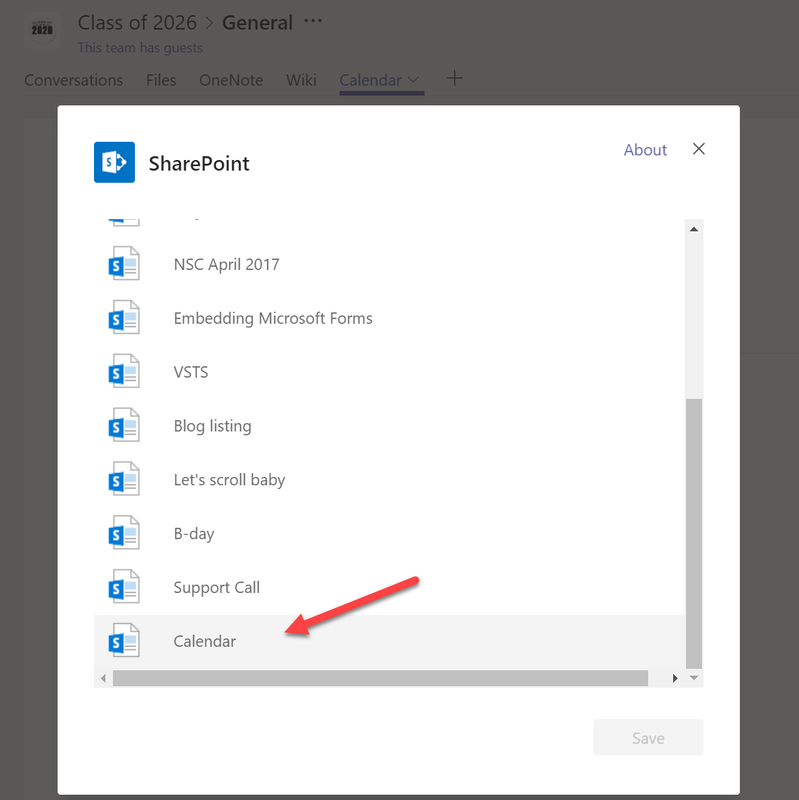 Search for “powerapps cascading dropdowns sharepoint” on the interwebs and you will find a bunch of ways to get this to work, but I dare to say that the solution I propose is by far the easiest and most elegant. And a big thank you to my colleague Thomas who helped along with this one. My sample is super easy. I have three lists, Countries, Cities and Customers. Cities has a lookup to Countries, and Customers has a lookup to both Countries and Cities. By default the input form looks like the image below, where all cities are shown regardless of the selected country. But this is easily fixed. 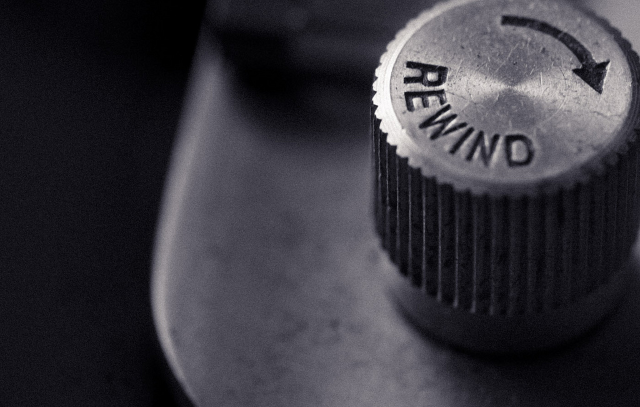 For as long as REST has been supported in SharePoint the endpoint programmers have used is http://server/site/_api/ or https://contoso.sharepoint.com/_api for those of us who left on-premises years and years ago. Now Microsoft has given us a v2 endpoint for the REST API. This has sort slipped under the radar, but I’m happy to announce that it’s there, it’s supported, and you can use it! But wait, what is this v2 API, and why should I care or use it?